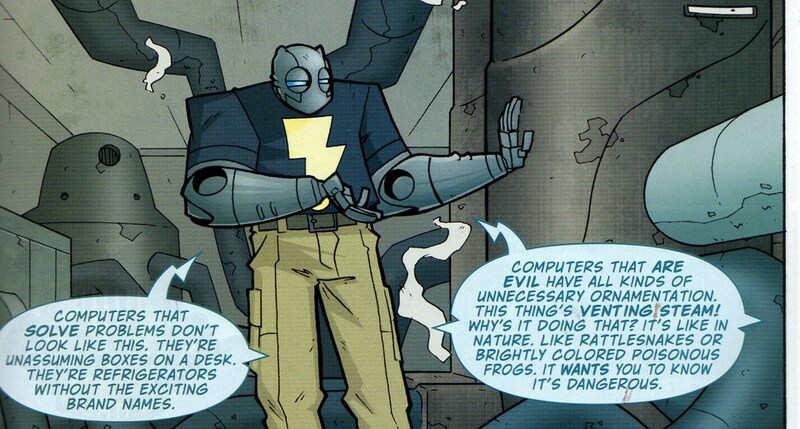 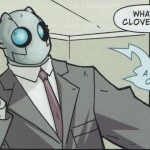 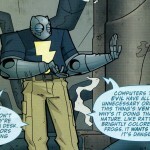 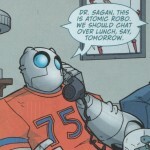 We get four tales of Atomic Robo – in his youth, with Charles Fort and Howard Phillips Lovecraft; later, with both Carl Sagan (in the best of the scientist cameos thus far) and Robo’s own Action Scientists (in the Oregon town of Cloverdale, which is totally not a Cloverfield reference); and finally at Tesladyne. 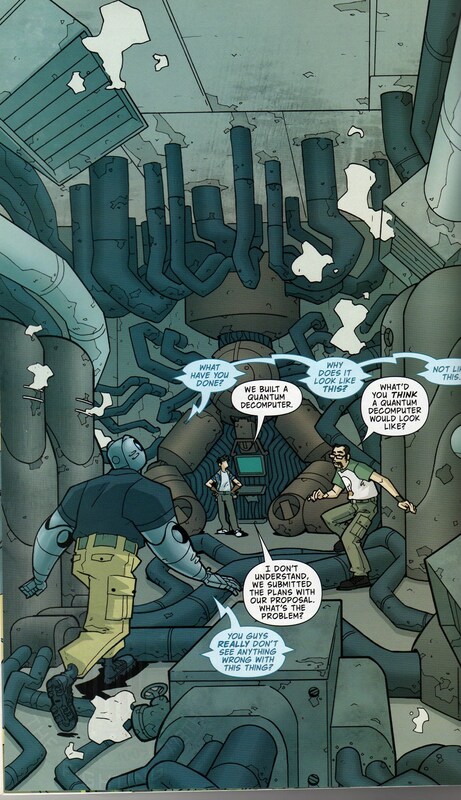 The Tesladyne science geeks make a giant evil computer. 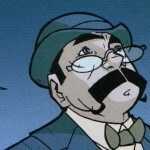 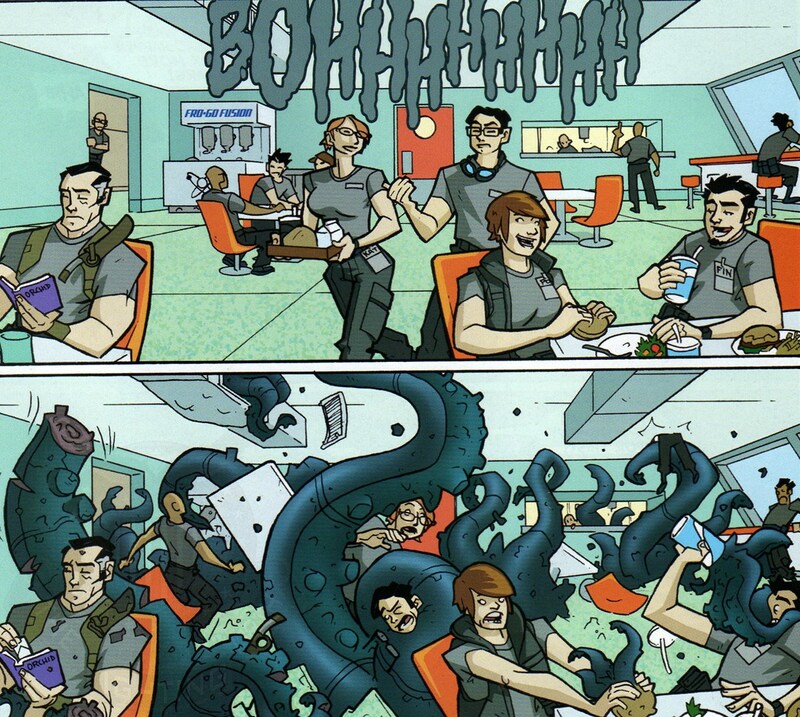 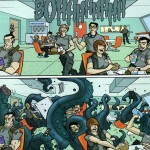 We also get a bit more of Jenkins, who’s shown up in the background in stories (and backup stories) up ‘til this point. 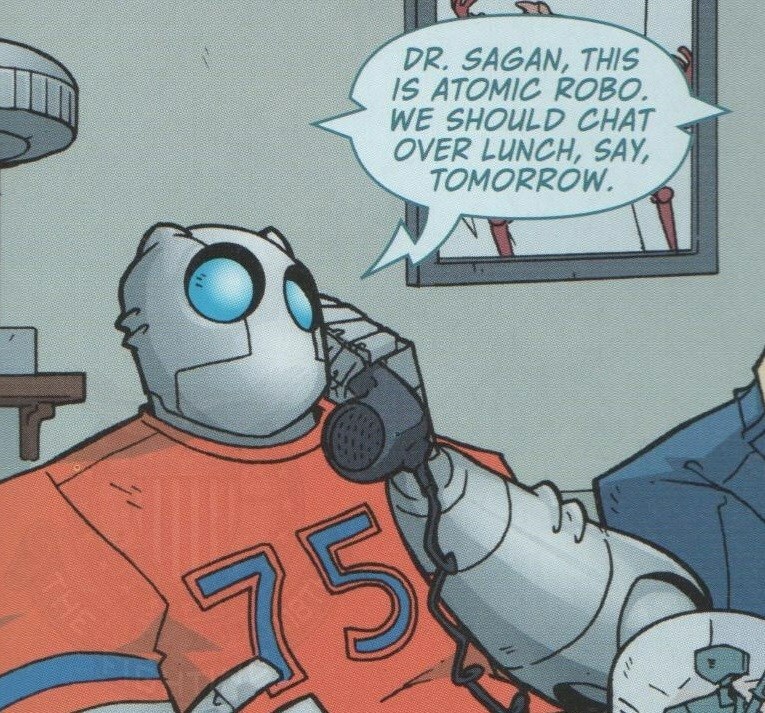 He’s arguably the most recognizable of the Action Scientists, at least until Bernard really shows up in volume 4. 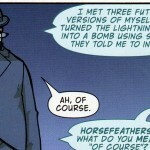 Previous: Happy 4th Birthday to the Site!